A monthly roundup of the news, dispatches, and marginalia that caught our eye. 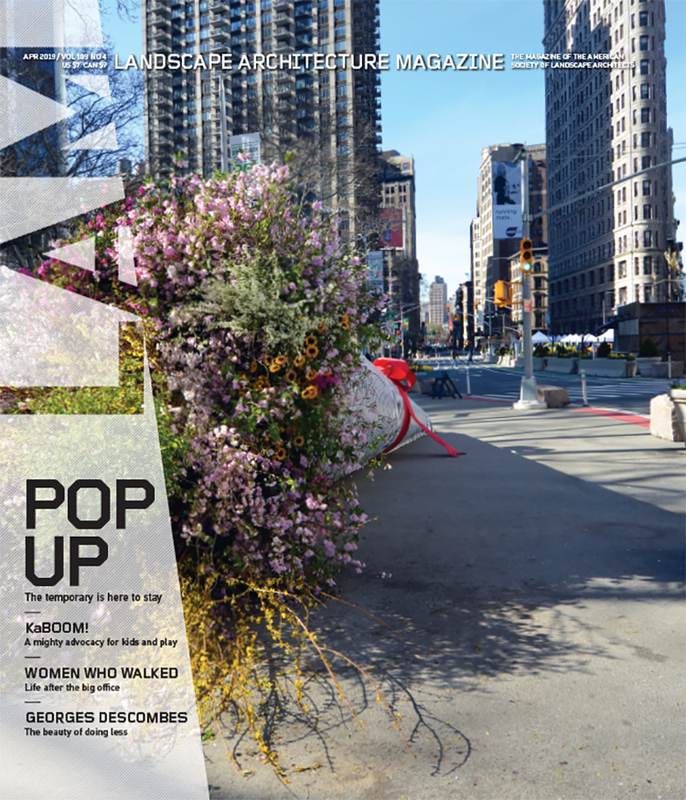 In this month’s issue of the Queue, the staff wades through a myriad of headlines to find $2.4 billion might not be enough for New York City’s new green infrastructure, reads about gender and urban farming, and slows down to enjoy a dancing stoplight. Frequent contributor Alex Ulam looks at the benefits of New York City’s plan to spend $2.4 billion on green infrastructure, including stormwater management in priority neighborhoods—but some wonder whether it reaches far enough. Rios Clementi Hale Studios (“Around the World in Grand Park,” LAM, December 2013) have landed an interesting commission to design a “Catholic-appropriate” exterior for Phillip Johnson’s Crystal Cathedral in Garden Grove, California. The Van Alen Institute (“Take Aim at New Orleans’s Vacant Land,” August 12, 2014) is a veritable competition machine this fall. They’ve just launched a new effort with the U.S. National Park Service, National Parks Now, aimed at reenvisioning the four national parks. With urban agriculture’s popularity on the rise, Michael Tortorello of The New York Times wonders why the majority of workers are female (and why it matters). San Francisco’s new tax breaks for converting vacant lots into urban farms might not make sense when there’s a lack of affordable housing in the city. The Frick Collection claims that the Russell Page garden they want to demolish for their expansion was always “temporary.” Charles Birnbaum begs to differ. D.C. residents are slowly shaping alleyways from dark corners of miscreant activity to vibrant social assets for the community—one alley at a time. For every mile of road in Nashville and its county, there is only half a mile of sidewalks, according to the Tennessean. And the city’s new flat rate fee that allows developers to opt out of building sidewalks altogether isn’t going to help. An Op-Ed in the New York Times says Colony Collapse Disorder is in the rear-view mirror, but it’s still too early to breathe a sigh of relief: The United States averages a 30 percent loss of our pollinator friends annually. Think the drought in California isn’t so bad? These before and after photos suggest otherwise. Longwood Gardens, west of Philadelphia, welcomes meadow designer Larry Weaner on October 12 to talk about his principles for creating “ecologically rich landscapes” by letting nature do all the heavy lifting. Landscape legend Cornelia Hahn Oberlander (“Permafrost Frontier,” LAM, November 2013) and Susan Herrington are at the Graham Foundation on November 19 to talk about their new book, Cornelia Hahn Oberlander: Making the Modern Landscape. Jon Stewart’s elementary school science project. How do you slow a speeding menace? The end to jaywalking as we know it?